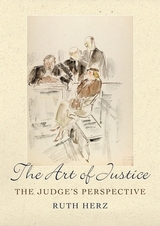 This book presents a unique and intriguing collection of drawings of courtroom scenes. Entering the courtroom wearing his robe, Judge Pierre Cavellat literally had a secret up his sleeve. Hidden in it were pens and pencils, which he used to sketch the scenes he observed from his bench. Throughout a 40-year judicial career in one of France's more important regional appellate courts, Cavellat produced hundreds of illuminating drawings and paintings depicting the court proceedings but also the main actors: the prosecutors, defence counsel, his fellow judges, the defendants, witnesses, policemen, the general public, as well as the courtroom itself and its architecture. The resulting vivid and uncensored impressions give an unprecedented insight into how a judge perceives his profession and the institution of justice as a whole. Given the scarcity of written autobiographies by judges, and their reluctance to lay bare their inner feelings and thinking, the images reveal, in a candid and immediate fashion, the deeply hidden emotions, ambiguities and fantasies of a judge going about his work. 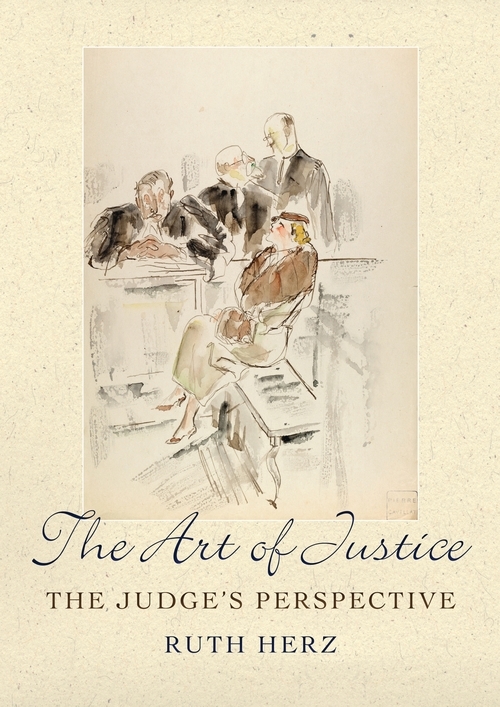 The author, a judge herself, interprets the images through the lens of her own judicial experience, exploring how judges think and act and how their thinking is constructed through their education, professional training, gender and class. In doing so she exposes how personal background, history and experience play an additional, sometimes conflicting, role in 'judgecraft'. While relevant to both practitioners and students of law this book should also appeal to the wider public. “There is no equivalent body of work in the history of justice or art; nothing that reveals so immediately the dramas lived out in the theatre of law. Created with materials smuggled into court in the sleeves of Cavellat's judicial robes ... these images might have remained secret forever if Ruth Herz had not happened upon them. It is rare to find a legal publisher that attends with such care to the artistic and presentational aspects of its book list, as it is to find a judge who takes the court list for the day and turns it into a work of art.